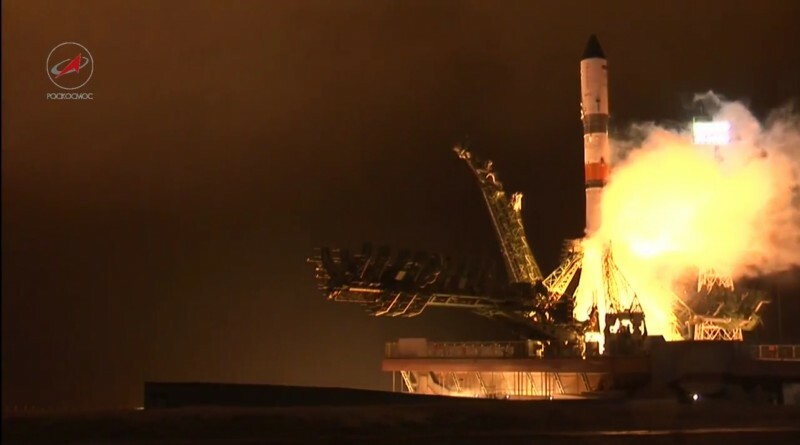 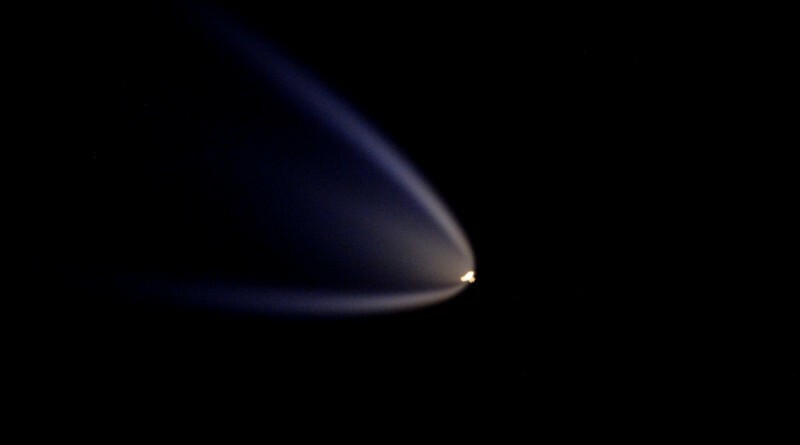 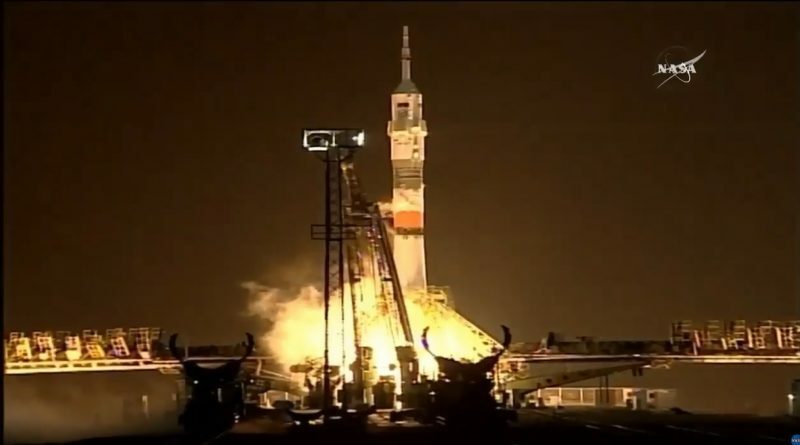 Russia’s Soyuz rocket made a nighttime liftoff on Friday to deliver the Soyuz TMA-20M spacecraft with Alexey Ovchinin, Oleg Skripochka and Jeff Williams to orbit, setting out on a fast-track rendezvous with the International Space Station. 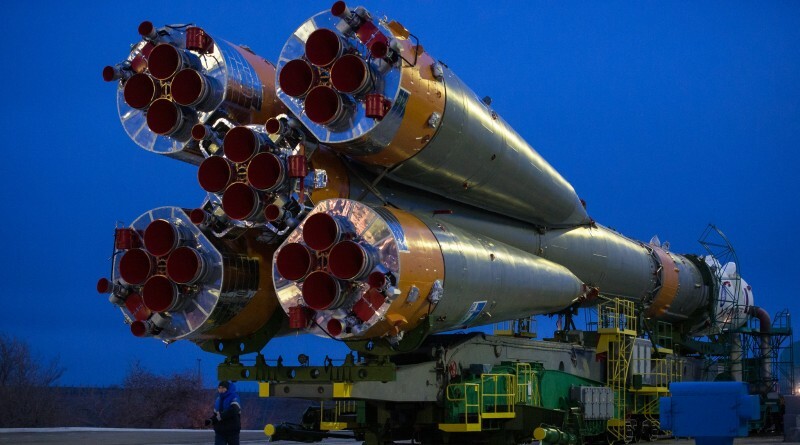 The Soyuz FG rocket with the Soyuz TMA-20M spacecraft is moved to the launch pad at the Baikonur Cosmodrome on March 16, 2016 to set the stage for a middle-of-the-night liftoff for a flight to ISS. 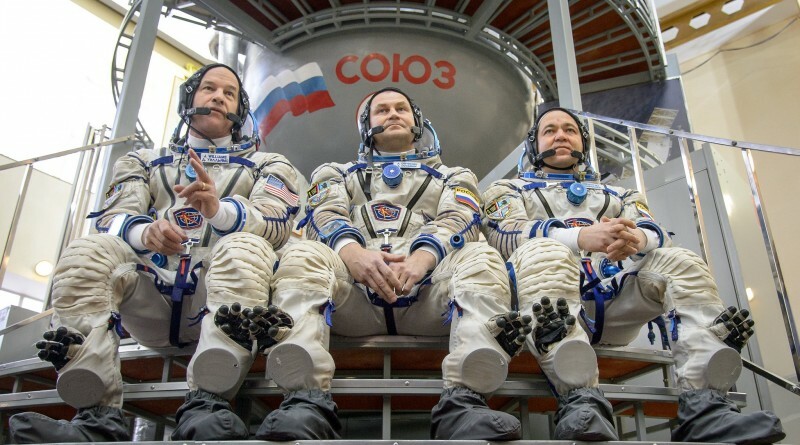 The crew of Soyuz TMA-20M, Alexey Ovchinin, Oleg Skripochka and Jeff Williams complete final launch preparations at the Baikonur Cosmodrome to get ready for liftoff aboard their Soyuz spacecraft for an express flight to the Space Station. 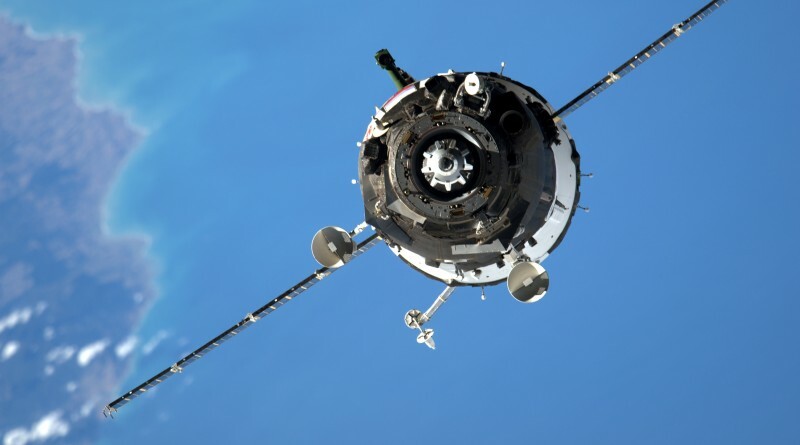 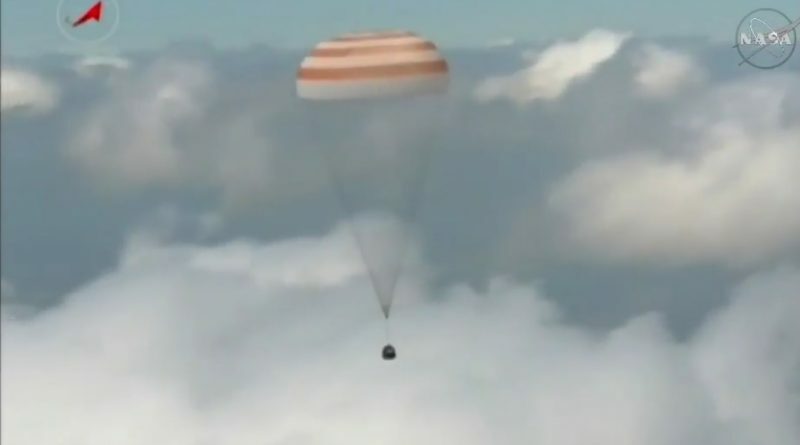 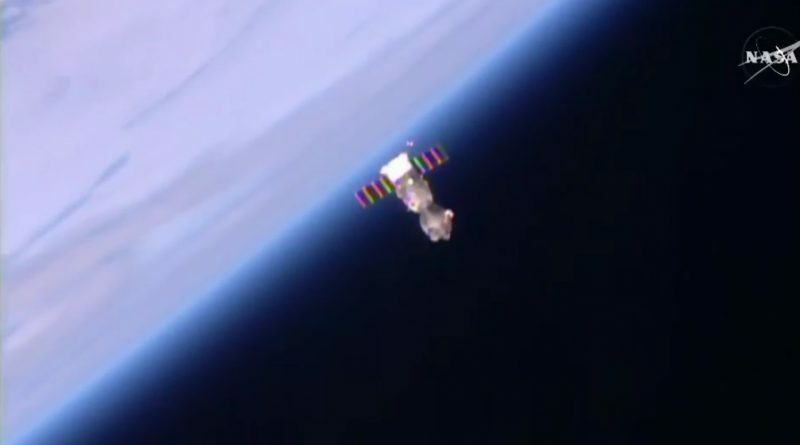 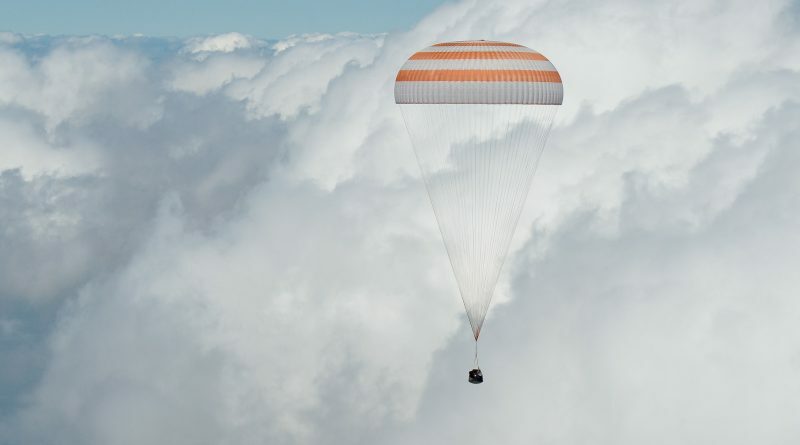 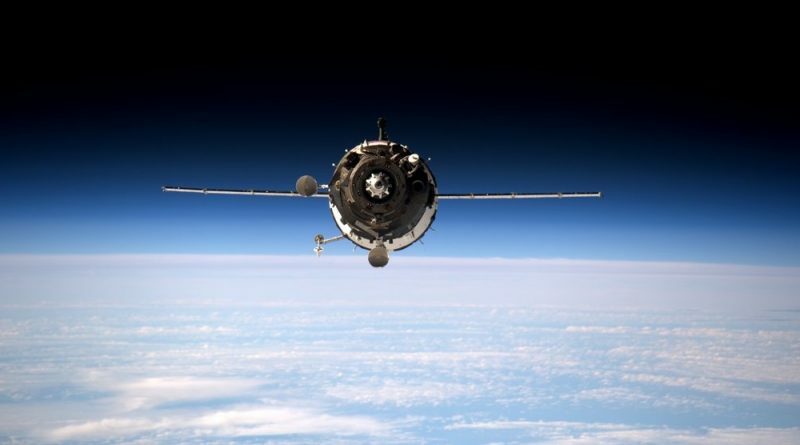 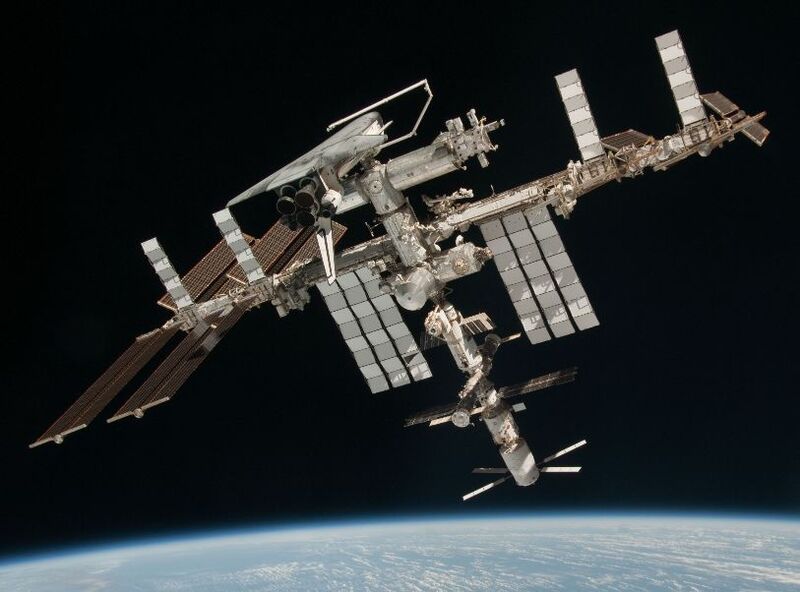 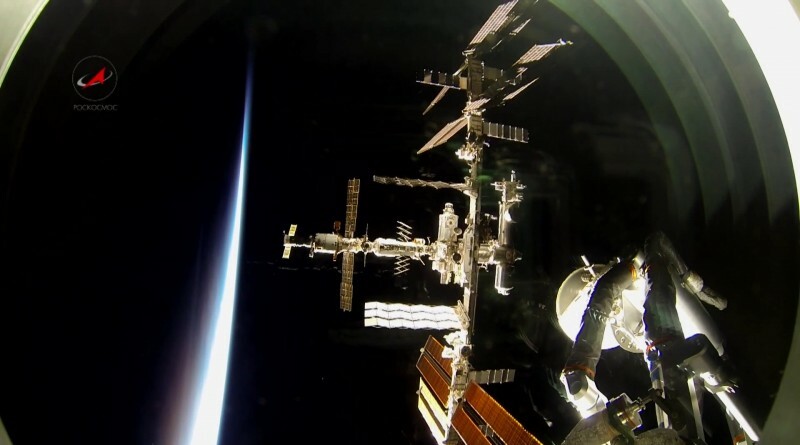 The International Space Station conducted a reboost maneuver on Saturday to set up the orbital geometry required for the fast rendezvous of the Soyuz TMA-20M spacecraft carrying the next crew to the orbital outpost, followed by an express cargo flight by Progress MS-02 at the end of the month. 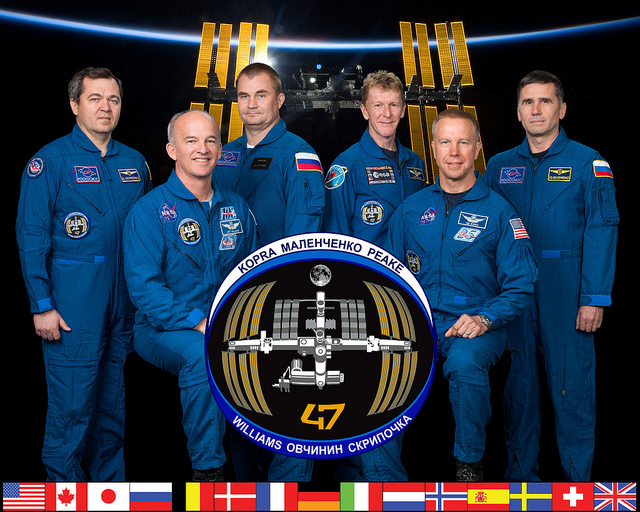 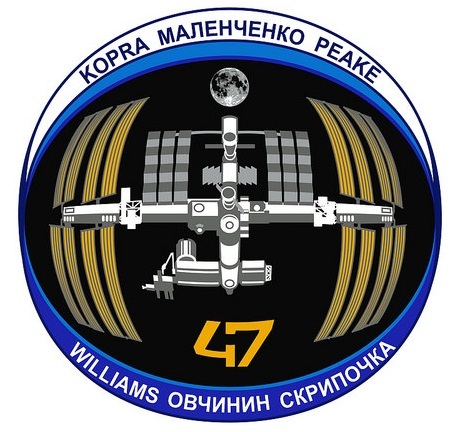 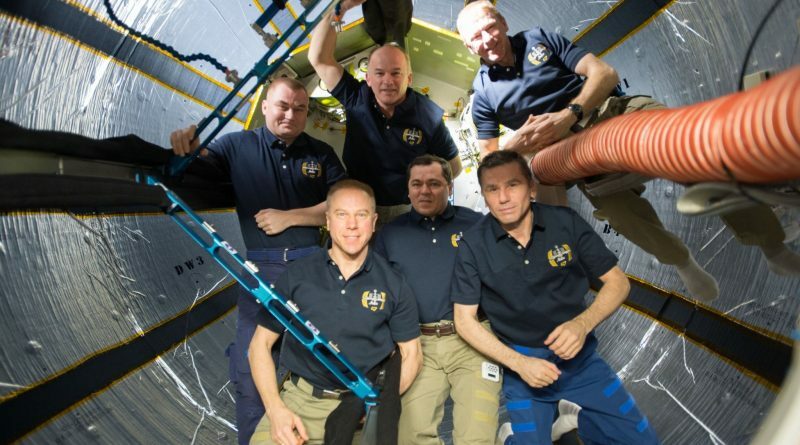 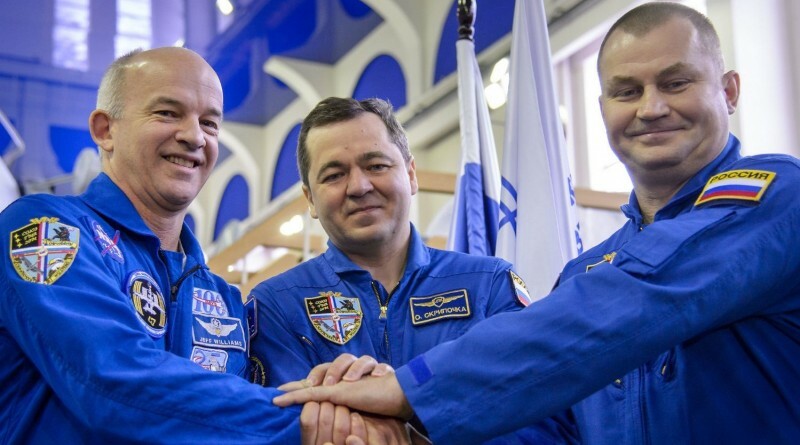 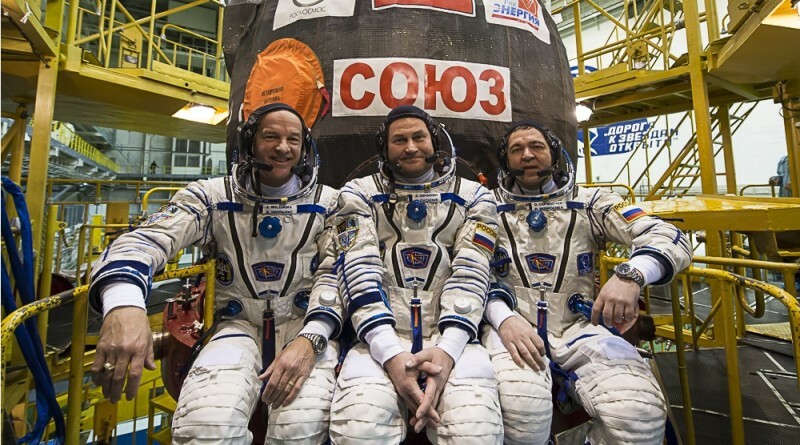 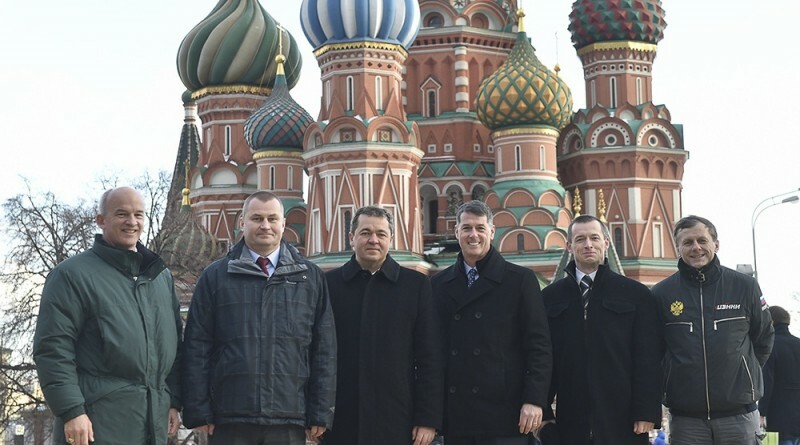 The three crew members of ISS Expedition 47/48 and Soyuz TMA-20M complete final Soyuz and ISS training exams before departing for the Baikonur Cosmodrome for a March 2016 launch.